Creating is such an outlet that I find joy in! As 2016 comes to an end Im reminded of how blessed I am to be able to feed my hobby and create. Im thankful to be able to have a job that allows me to work from home so I can carve out time to make beautiful things for our home and for our community. 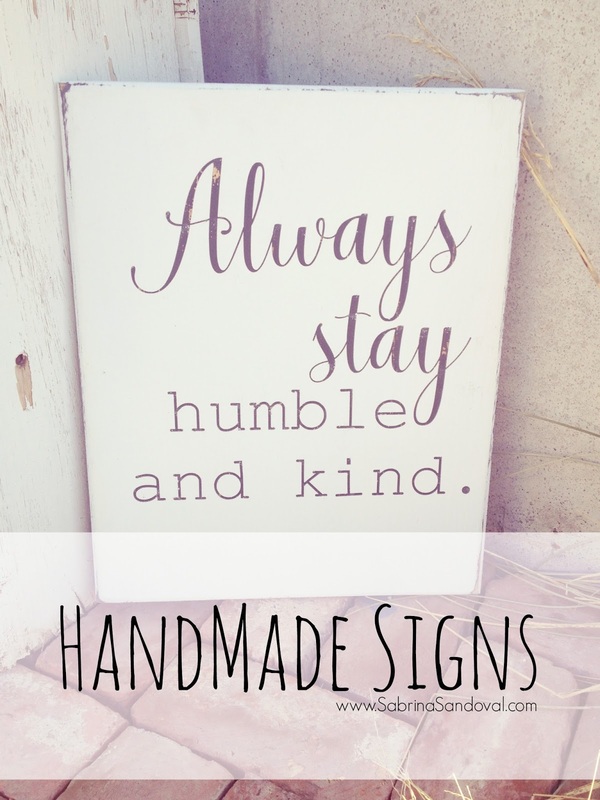 Here are a few of my most recent handmade signs that Ive created as we wind 2016 up. ....Creating with my hands and creating memories with those I love..
... and finding the simplicity in life to be still and live well. If your searching for a fun DIY gift that your kids can help with that someone will actually use give these a try! All 4 of my kids helped with this project and I love the way it turned out! Earring Studs (We found ours HERE). 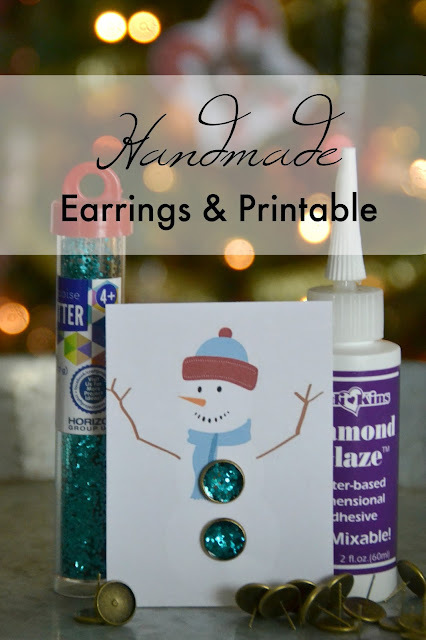 We poked our earring studs into a box to keep them upright while we created. And a few drops at a time of the diamond glaze. You'll want to continually mix the two ingredients until the stud is filled and there appears to be a smooth consistency on the top of the earring. I recommend letting them dry overnight. They should be smooth to the touch once fully dried. Right click on the above image, save it to your computer and print off on card stock. Then cut into 9 pieces and then in place of where the buttons would be place the earrings. 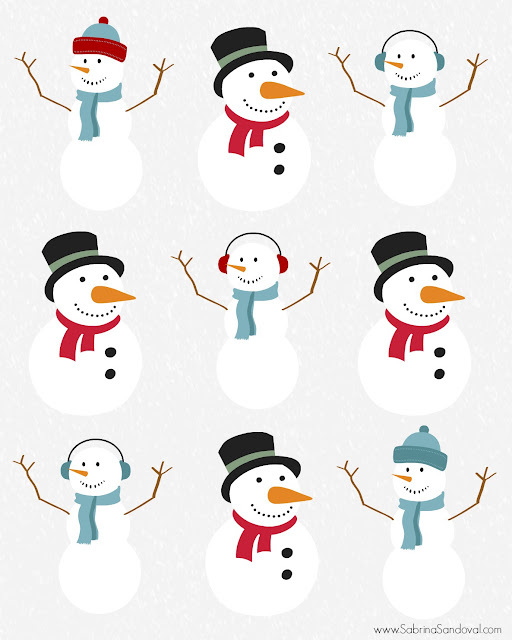 Wishing you a warm weekend! Its supposed to be -7 here tomorrow... brrrrrr! Looking for a few more projects to do this weekend?! 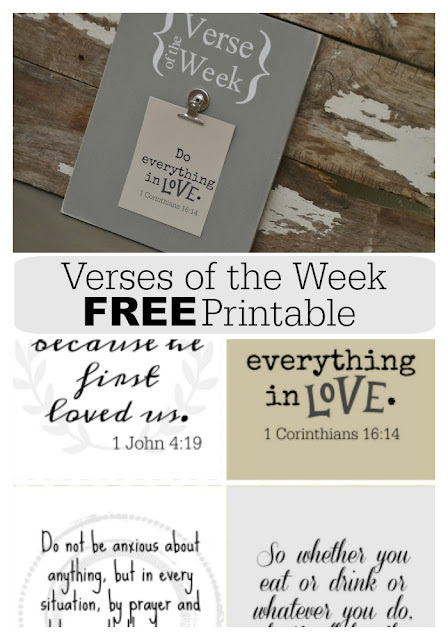 Verse of the Week and FREE Printables! 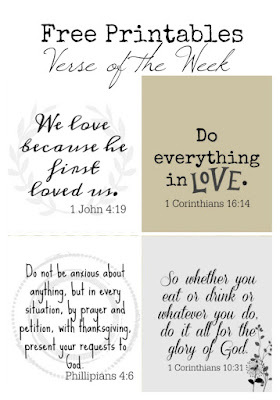 Scripture is one of those things that fills my heart and helps me so much yet so hard for me to quote. 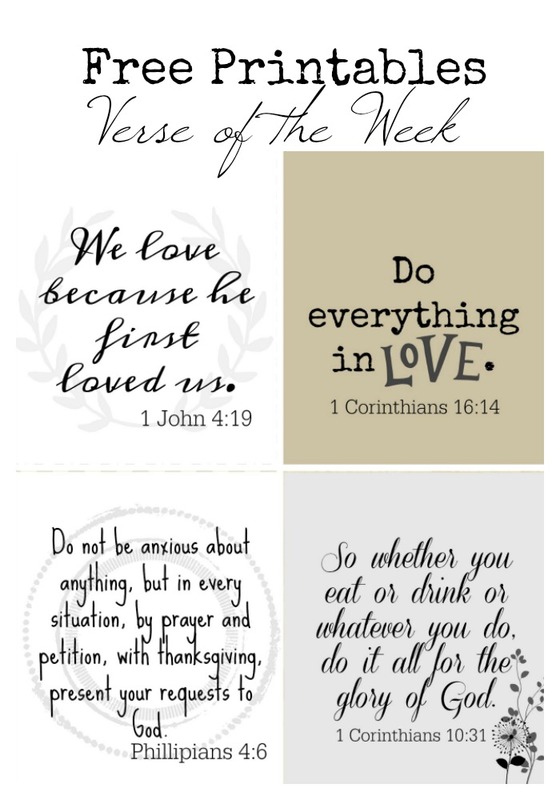 As Im growing to know my favorite verses I created this fun Verse of the Week board along with some free printables for you to use in your home. I pained a piece of plywood grey. It measures 8x10. I used my silhouette to create the design I wanted and white vinyl for the words. I attached a clip in the center of the bard. And its ready to go! 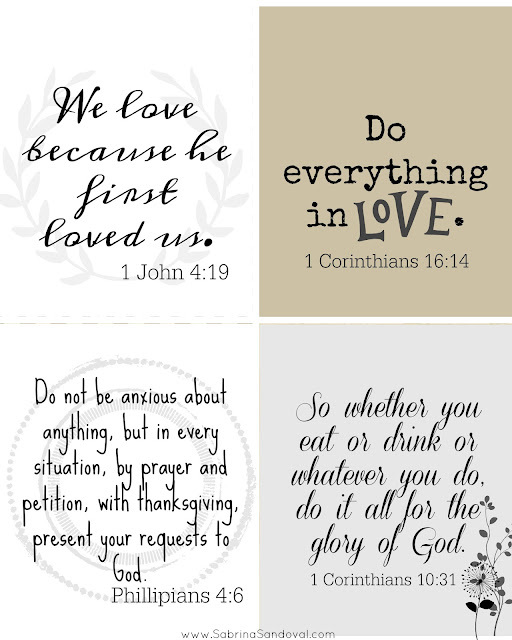 To print these printables for your own personal use simply right click on the image below. Save it to your computer and print it off. I recommend printing on card-stock for durability. Check out this free seminar this Sunday, December 18th at 9:30 p.m. EST to learn how to release your Honey Bod for 2017! See all of the details and reserve your spot HERE. 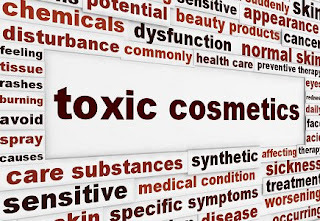 Chemical Regulations: What is really in your Cosmetics? 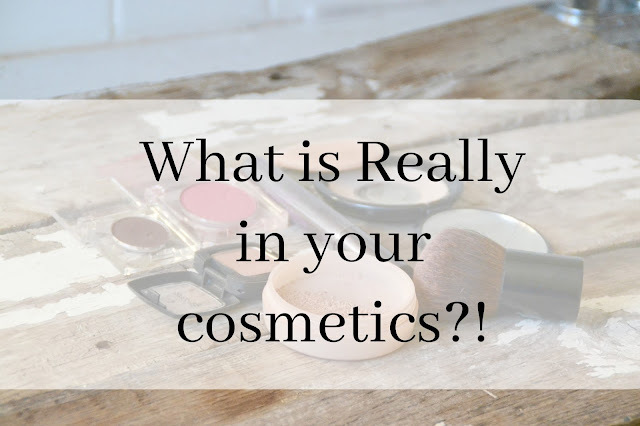 My friends, do you know whats in your cosmetics?! We're you all watching GMA this morning? They had a segment on Cosmetics and what is really in what most Americans use. 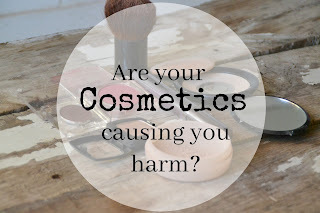 The sad fact is that only 11 chemicals have ever been regulated by the FDA for use in cosmetics. And no safety tests are required before beauty products hit store shelves. 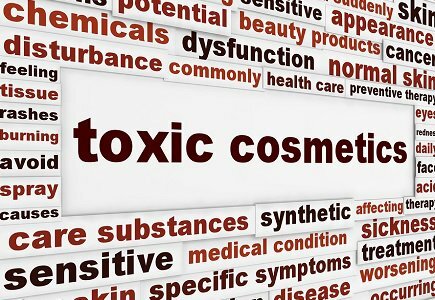 As we use these Toxic Cosmetics we are introducing chemicals into our blood stream that create side effects that you might not even think of. Things like skin problems, breathing issues, allergies and even more serious conditions. 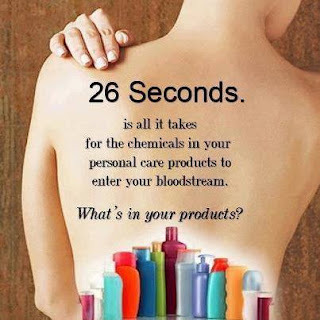 The truth is it takes just 26 seconds for the chemicals in your personal care products to enter your bloodstream. The good news is this... As the ABC News reporter found her baseline measurement of chemicals in her system drastically went down after changing brands, so will yours. This is exactly why I'm conscious about what I use on my skin. 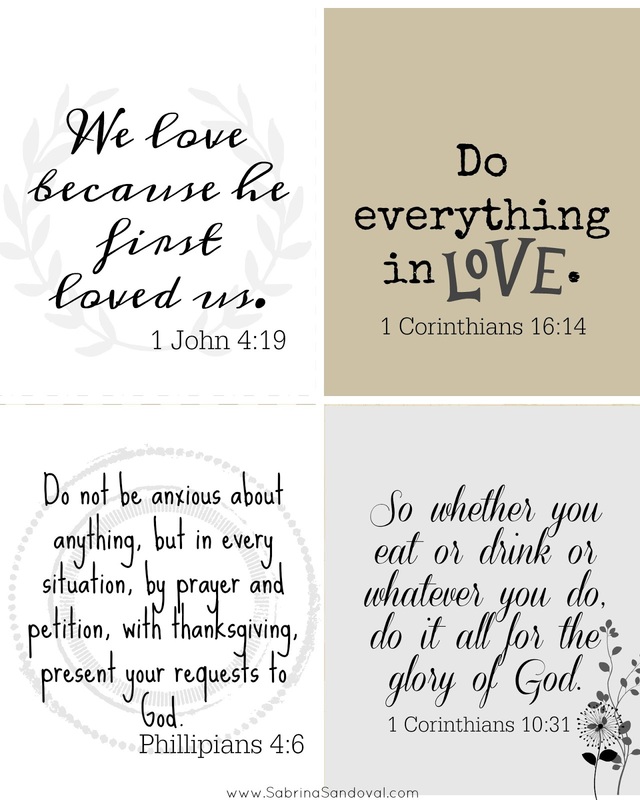 Not only for my self but for my three girls as well. 1. 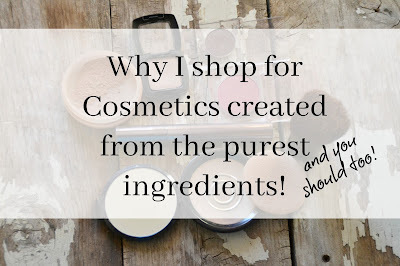 Typically changing to low-chemical products you'll find companies that use organic formulas. The brand I use, uses food grade ingredients. 2. Cost effective. Believe it or not, Eco Friendly brands focus on the ingredients instead of packaging. 3. Our air becomes cleaner as we rid our homes of chemical infested cosmetics and personal care items. I urge you to be wise about where you shop, what items you use in your home, on your skin and around your family. The odds are one small change in where you shop could make a large impact on your families health and well being. Ive been on a recent mission to keep everything that my kids touch sanitized. As I was spraying my Natural Disinfectant on the fridge today, I had an "ah-ha" moment! 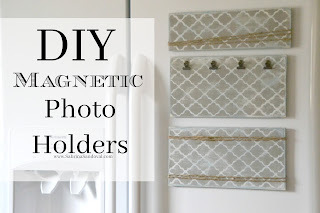 And thats what drove me to make these super cute and simple DIY Magnetic Photo Holders. 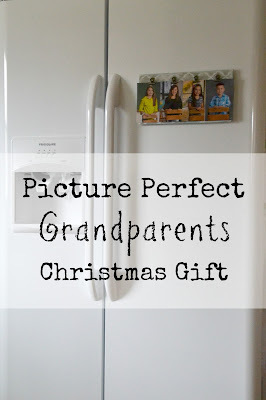 Our kids are so blessed to not only have all of their grandparents but also great grandparents. 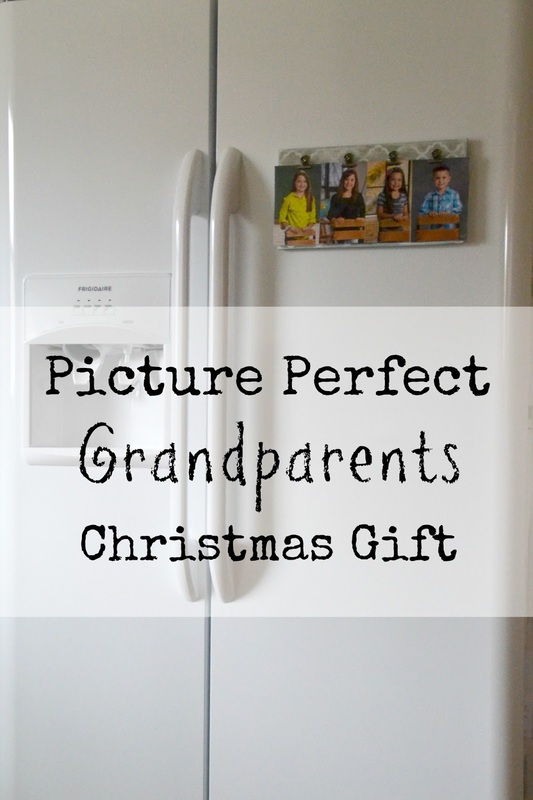 And sometimes I find that grandparents are hard to shop for because they have everything! Each year I give the kids pictures in cards, this year Ill give them in this fun way so they can be displayed on the fridge. I started with some scraps of thin plywood that was stashed in the garage. I wanted to make sure the wood I was working with wouldn't be too heavy for the magnets. I then painted my pieces blue, then a coat of white and then I stenciled on top of the white with a country grey color. When my pain was dry, I sanded. The hardware I used was things I had around my home excluding the magnets. I recently purchased those at Hobby Lobby for $7.00s but I used my 40% off coupon on that item. I hot glued 4 magnets on the back, one on each corner. 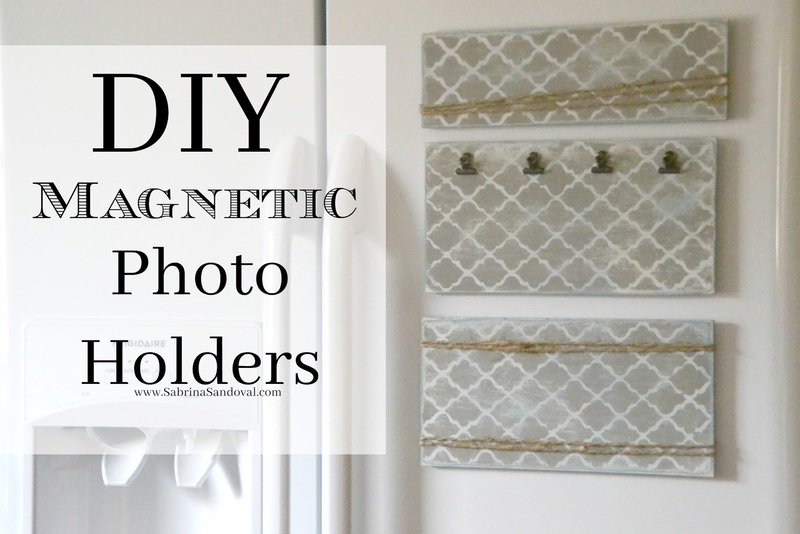 I wanted each photo holder to be unique and a little different. This one I glued these little clips to. This one I wrapped jute around at the top and bottom of it. And this one I wrapped with jute simply at the bottom. I think they turned out Really cute! All together it took me about an hour of time for these three projects and cost wise was very minimal. 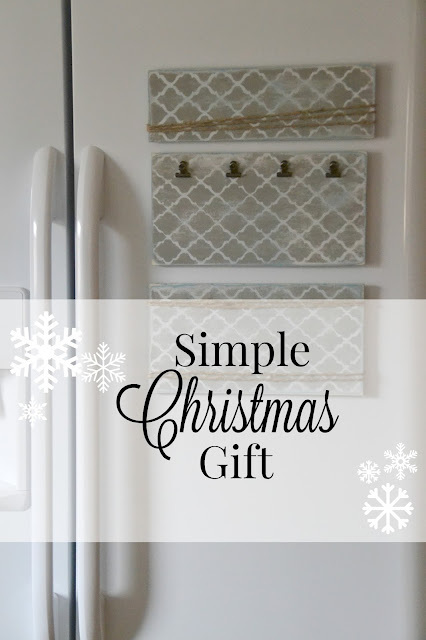 These really are simple yet very personal Christmas gifts that would be perfect for anyone on your list.